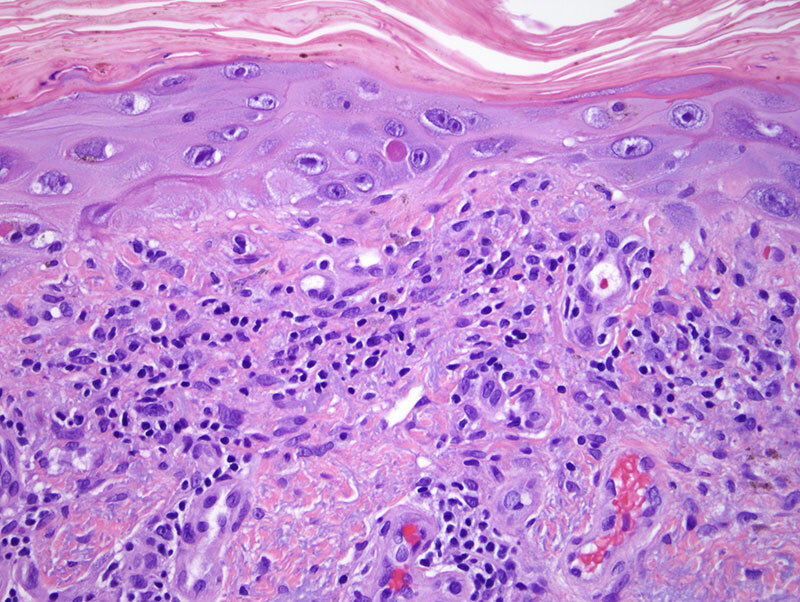 Undoubtedly this skin rash is attributed to chemotherapy use. 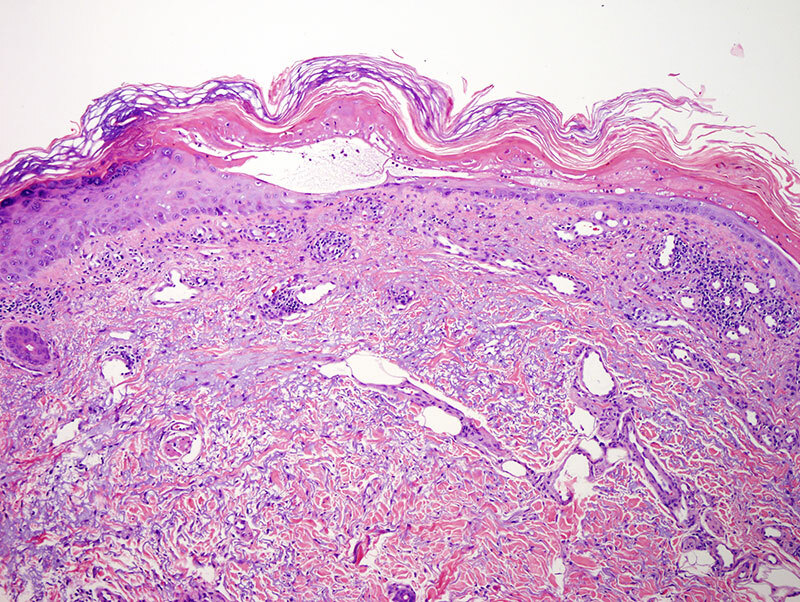 The dominant morphology is that of a severe irritant chemotherapy effect with significant architectural disarray and dysmaturation of the epidermis with a number of bizarre keratinocytes present within the epidermis typical for chemotherapy effect. 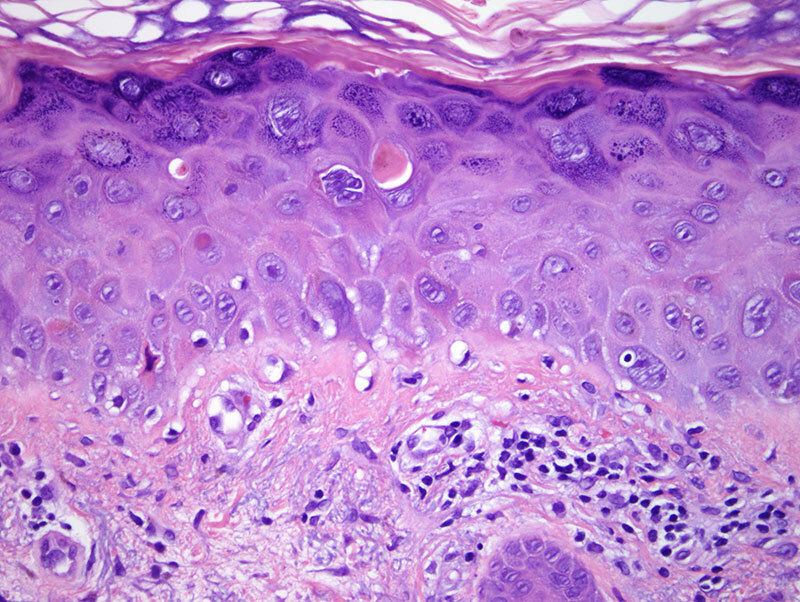 However, there is also a supervening lichenoid immunogenic component indicating that the drug is also causing an allergic response whereby the drug must be functioning as a hapten and evoking a lichenoid hypersensitivity reaction. There is literature precedent regarding photosensitive lichenoid drug reactions due to Capecitabine. In fact, in 2014 a report was published on a patient who received Capecitabine for treatment of metastatic breast carcinoma. The patient developed a pruritic eruption on sun-exposed areas. 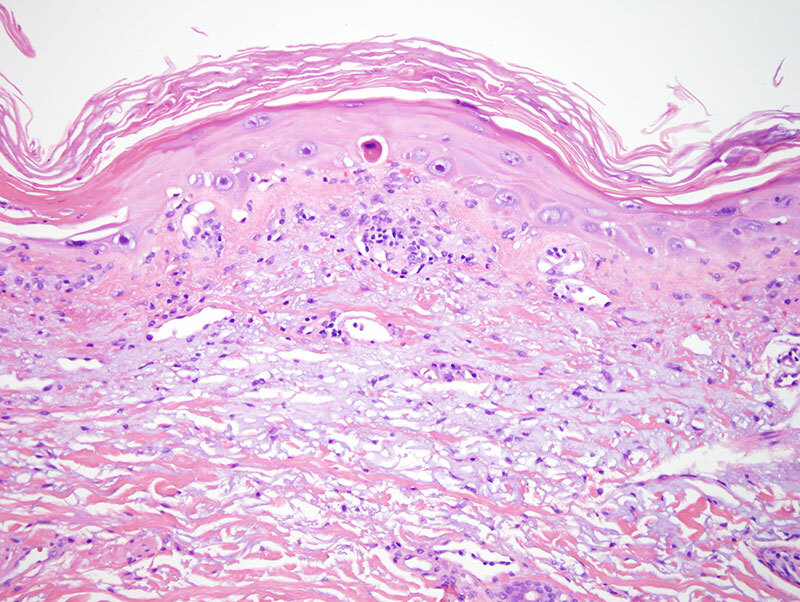 A skin biopsy showed a lichenoid interface dermatitis with compact orthohyperkeratosis. The patient was prescribed topical Clobetasol and systemic hydroxyzine along with adherence to sun protection strategies. The eruption cleared and/or at least significantly improved without the patient really going off the Capecitabine. This oral form of 5-fluorocil has been linked with oral lichenoid stomatitis and subacute cutaneous lupus erythematosus. There are less than half a dozen reports regarding lichenoid reactions related to this particular drug(please see references below). 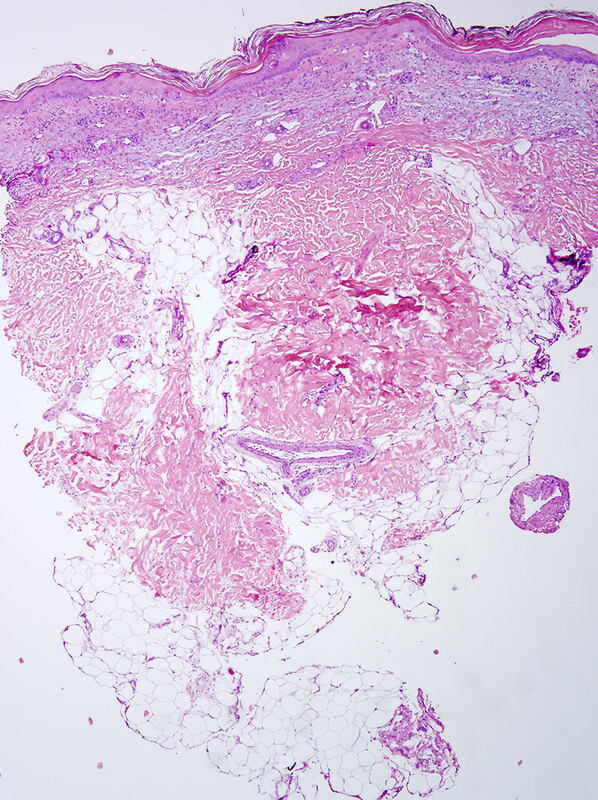 Hague JS, Ilchyshyn A. Lichenoid photosensitive eruption due to capecitabine chemotherapy for metastatic breast cancer. Clin Exp Dermatol. 2007 Jan;32(1):102-3. Walker G, Lane N, Parekh P. Photosensitive lichenoid drug eruption to capecitabine. J Am Acad Dermatol. 2014 Aug;71(2):e52-3.